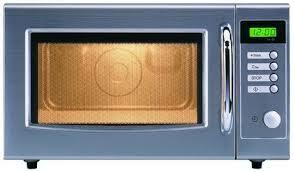 We repair microwaves in Westminster, California. Whether or not you use this small appliance daily, ask us to fix it. Don’t throw it away! And don’t try to fix it alone. It is not safe. Our techs are all knowledgeable and insured. You can trust us to cover your microwave repair Westminster needs in a timely fashion. Microwave ovens might not be large appliances, but they are some of the most useful ones in every kitchen. If you need our help, get in touch with our team today. As a local company, Appliance R epair Westminster CA responds quickly. You can count on our repair techs to be there when you need assistance with your microwave. Whichever model you own, our pros can repair it. We have a long experience in fixing counter top and over-the-range microwaves. Since our pros are all updated, you can count on them to fix but also install all built-in models. Want to install a drawer-style microwave oven? Get in touch with us. We provide microwave service with your safety in mind. Whether we install or fix microwaves, we pay attention to details and make sure the job is done correctly from start to finish. When it comes to repairs, our pros come equipped with the tools & spares they need. Since problems begin when parts break down, we are ready to replace them. Trust that we offer microwave oven repair in a timely manner. If you want same day service, don’t hesitate to say so. If your small appliance is sparking, don’t use it. Our techs are always responsive and will fix any problem with the microwave in no time. Just like we service any other home appliance, we bring all the tools and the right diagnostic equipment to ensure the job is performed correctly. Count on our pros to replace the worn microwave parts, fix all problems, and bring back the small appliance to life. Call our team for microwave repair in Westminster today.